Coverage: Live action and highlights on BBC Two and BBC Red Button; updates and reports on BBC Radio 5 live and live coverage on this website. Seven-time world champion Stephen Hendry said he had been battling the 'yips' for 10 years after his defeat by Mark Williams in the UK Championship. The Scot lost 9-6 in a second-round encounter of low quality before talking about his problem. The 'yips' is a condition, usually associated with golf, that involves the freezing or involuntary movement of the hands when attempting shots. "On some shots I don't even get the cue through," said the 41-year-old Hendry. "It's so frustrating, it's like giving these guys a 50 [point] head-start, it's horrendous. "It's got gradually worse for 10 years. I think I need to phone Bernhard Langer to see how he got over the 'yips' because that's what I have." German golfer Langer is perhaps the most high-profile sportsman to have been affected by the 'yips', which in his case involves flinching or twitching when putting. Ryder Cup-winning captain Sam Torrance and seven-time major winner Sam Snead also succumbed, although the 'yips' are not confined to golf and snooker. Leicestershire bowler Scott Boswell famously suffered a bout of the 'yips' in the 2001 C&G Trophy final, bowling a 14-ball over which featured eight wides, including five in a row. 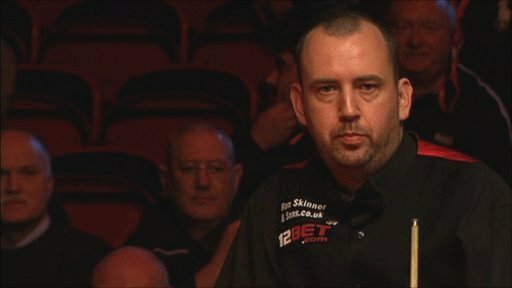 In the semi-final he had taken 4-44, all of them England internationals. A month after the final, Boswell was released from his contract by Leicestershire. Five-time darts world champion Eric Bristow was never the same player after breaking down with the 'yips' - or 'dartitis' as it is called - in 1987. Baseball pitchers, basketball players and tennis players have also been struck down. The condition was originally thought to be a psychological problem but researchers now believe it may have a physical basis. 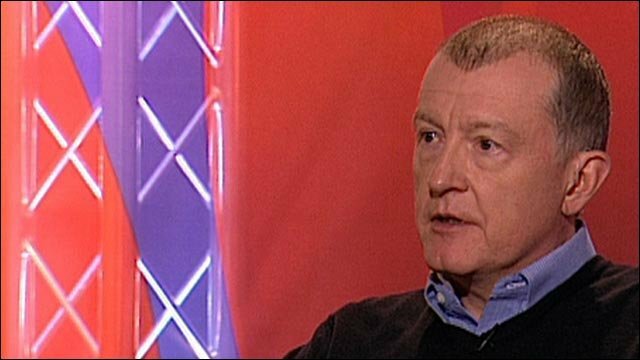 Six-time world champion Steve Davis revealed he had also suffered with the 'yips' during his career and said it was difficult to keep under control. "You have to deal with it in the spur of the moment, you have to have a plan B and use your grit and determination to get through the day," he told BBC Sport. "But longer term you can only get confidence from improving your technique. "When we talk about cueing across the face of the ball, what we are talking about is this: ideally when you are looking at a long straight pot, you want to be aiming at the centre of the cue ball, with your cue dead straight in line with the shot. "You then want to pull it back on that line and deliver it back through the ball on the same line. Once a player stops doing that he has got serious problems. "Once it starts, it is a bit like a golfer with a hook or a slice, the more you try to stop it, the worse it gets. It is debilitating for a player." Asked if his travails would force him out of the game, Hendry, considered by most observers to be snooker's greatest ever player, said he would struggle on. "I wish in a way I didn't keep coming up with these good frames because it suggests maybe there is still petrol in the tank - and then I play three bad frames," he said. "The one thing going for me is I'm at the end of my career. It's frustrating but I just have to keep going."